Everyone has an estate, but not everyone has a plan. No matter our financial condition, all of us will leave possessions behind. The question is what’s your plan? If you do nothing, then in Georgia, the state has a plan to distribute your assets when you’re gone. The problem is it may not be the way you want your estate distributed and it does not include any charitable giving. Having a well thought out estate plan is important for all Christians as a part of our stewardship of the material blessings God has given us. To learn more about developing your estate plan, you should attend our Estate Planning Seminar on Tuesday, October 9th. There will be two identical seminars at 11:30 a.m. (w/ lunch) and 6:30 p.m. (w/ dinner). The advantages and disadvantages of certain trusts and wills. How to give to support your church and to start new churches. How to avoid losing your assets to nursing home costs. How to plan before you need long term care. How to provide for your spouse and children’s health, maintenance, education and support. How to provide for your special needs children and grandchildren. How to plan your estate to make sure it passes on to your family most efficiently. How to protect assets inherited by your heirs from lawsuits, divorces and other claims. How to plan your estate to minimize federal estate taxes. How to protect your estate if you become incapacitated during your lifetime. Attend one of these seminars and you’ll receive a FREE, one-hour, private initial consultation with an attorney from our legal partners, Pyke & Associates (https://www.cpyke.com/services/) to answer any questions you have about setting up your Estate Plan ($450 value). The location for our October 9th seminars will be announced soon. Mark your calendar for either our 11:30 a.m. or 6:30 p.m. seminar. I look forward to seeing you then. P.S.S. 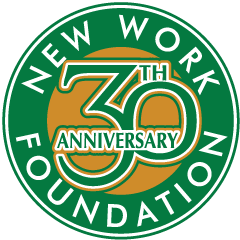 You might also enjoy our video on legacy giving on our website at http://www.newworkfoundation.com/churches/legacy.